Escape to this country estate! 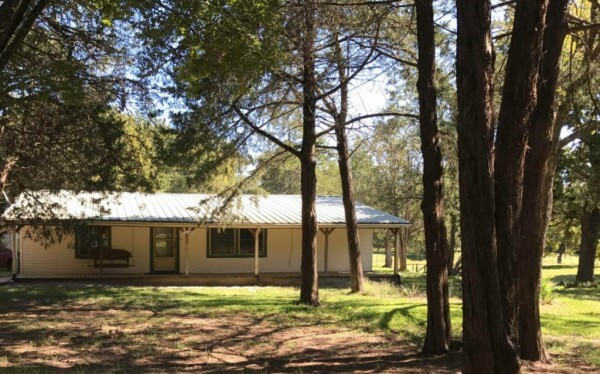 Home is minutes away from Lake Texoma, Rock Creek Resort and several west side Texas marinas. Remodeled in 2016, home has 3 bedrooms, 2 baths, living room, dining and fully equipped kitchen with full size washer and dryer. Large bonus room has a cozy sitting area with HDTV and elegant dining for 10 with a view through French doors leading to a pavestone patio with outdoor seating. 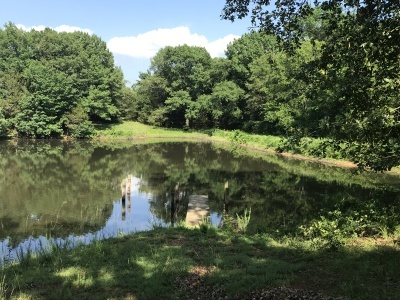 You will enjoy large beautiful trees throughout the 21-acre grounds containing a fishing pond and two other small ponds and hiking trails. Lake Texoma and the surrounding towns have so much to offer. You will love this location. House sleeps up to 6. You’ll want to bring your binoculars to enjoy the many birds and wildlife. Kayaking, fishing, water skiing and more with all amenities nearby at marinas. Fun shopping downtown Whitesboro. Can be rented with the Bunkhouse or separately.